Nearly three years after an unfortunate interview Benzema did with Marca, Didier Deschamps is still hurt for being labeled a racist by the striker. Back in 2016 when France celebrated the European Championship at home, Les Bleus’ manager Didier Deschamps decided to not call Karim Benzema for the competition due to his involvement in the scandal that Valbuena was also part of. Karim Benzema was the target of an onslaught of criticism from several parts of France and by members in all corners of society, the French striker felt attacked and he decided to defend himself by offering an interview with Marca in which he stated that the France manager’s decision to leave him out of the squad came after “caving to pressure from the racist part of France”. This statement was the ultimate insult against Deschamps, who has always made his decisions to select the players with a certain level of common sense. It was only natural that he would make the ultimate decision of never calling Karim Benzema to play for France as long as he remained the manager, Les Bleus have gone to win the World Cup since and Karim is still hurt that Deschamps has kept him blacklisted from the team. Now that time has gone by and both men have met success in their careers, one would think that Deschamps could let bygones be bygones. 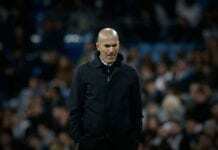 But this Saturday during an interview with Europe 1, the French manager reminded everyone that he doesn’t easily forget and he may take this bitter feeling against Karim Benzema to his grave. When he was asked specifically about the possibility that the striker could be called back to play for his national team, Deschamps didn’t hesitate to call things for what they are. “Some people can give speeches that can have consequences that go beyond any form of understanding, and I can never forget that,” Deschamps said during the interview as quoted by Diario AS. “At that moment I considered that a line had been crossed. I pick French players, all of them are French and it has never occurred to me to not select someone based on their color or religion. And in the same way the other way around, I would never pick someone based on the same criteria, because that would just as bad or worse,” concluded the France manager. If the Real Madrid player had any chance of reconciliation with the France manager about what was said, he must really be regretting what he said right now because he will retire from football knowing that he could’ve been a World Cup champion with the second golden generation of players that France has ever produced. Les Bleus do seem like they are going to dominate international football for the upcoming decade under Didier Deschamps guidance, which must feel very frustrating for Karim because of the missed opportunity. After hearing the words from the manager and how visibly hurt he still is, we are not sure that an apology will help in any shape or form to get him back in the manager’s good graces. At the end of the day, Karim Benzema will retire as one of Real Madrid’s most successful players in the modern era but he will always have that stain on his career that could make anyone regret his life choices for the rest of time. As of right now, the player still hasn’t responded to Deschamp’s statements and he may not even feel the urge to do so. The Real Madrid striker is too tired of defending himself from this whole drama. Plus, the forward hasn’t really been missed by anybody after the success France has gotten in recent memory. 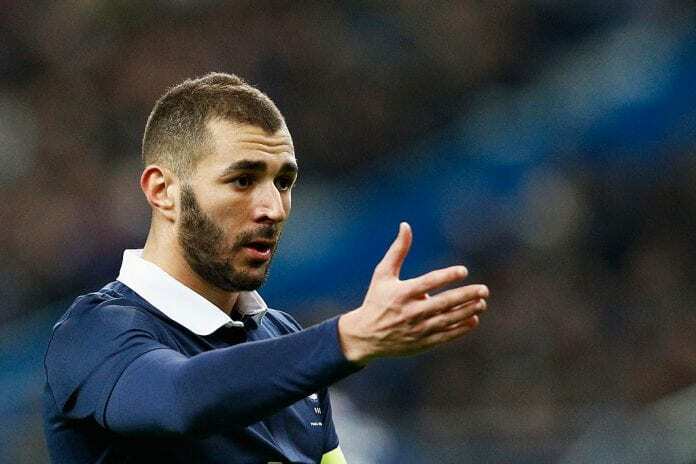 How do you think Karim Benzema should react to Didier Deschamps’ latest comments about him? Please share your opinion in the comment section down below.